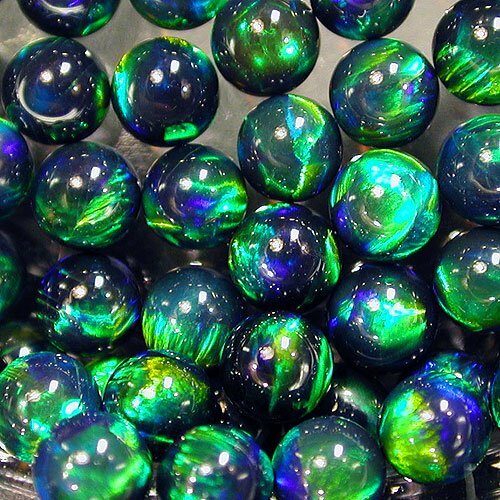 These green spheres are super nice. They are totally opaque and flash a deep green fire and occasional blue flash. Each stone is perfectly polished and flawless You will not be disappointed!